First, a big thank you to our guest blogger, “Kay Smith,” whose post elicited some pithy comments last week. 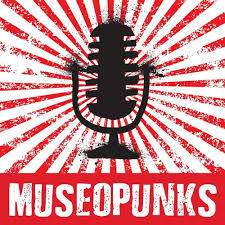 If you have a museum workplace issue you’ve thought about, and you want to try your hand at a guest post, please email us at leadershipmatters1213@gmail.com. This week we read about Wall Street and the Weinstein clause. If you missed it, it’s the wordsmithing added to big-money merger agreements, guaranteeing that corporate leadership behaved themselves ahead of acquisition. In some cases potential purchasers can be compensated if subsequent executive sexual misconduct comes to light. Non-profits like museums rarely merge, but they do appoint new board members all the time, and while the change feels incremental, boards should take note. Even if you’re enough of a negative Nelly to think the #MeToo movement hasn’t moved the needle, it has. Maybe not enough, but social diligence and value-driven behavior isn’t nothing any more. The tide is turning and executive behavior is in the spotlight. Most board members and museum leaders work hard to avoid choices that lead to negative press. Financial malfeasance, sexual misconduct, racist or xenophobic comments or workplace affairs are not the stuff of blissful social media. Yet unethical behavior happens. In three comments and a blog post last week we heard about asking a staff member to behave a certain way with donors, comments about race and gender, unethical hiring and firing, sexual harassment, and workplace bullying. What would happen if we actually polled for this kind of information? As last week’s comment writers told us, the buck stops with the board. And where the heck were they? In both Kay Smith’s post and in their subsequent comments, the board either failed to take action or were openly contemptuous of the employees in question. From failing to police their own members to failing to be ethical employers, they didn’t do their jobs. We’ve written about board bad behavior in the past, but it seems the museum sector–particularly the small museum world– might need a wake-up call. Just because you’re a board member for a small non-profit does not mean you and your organization get to break the law. If the thought bubble over your head says, “But it’s not me,” that’s not enough. Remember what Archbishop Desmond Tutu said: “If you are neutral in situations of oppression, you have chosen the side of the oppressor.” So if you knowingly countenance a board member pawing a young, female staff member and don’t speak up, you’re on the wrong side. If you permit sexist or racist comments around the board table, you might as well say them yourself because the person hearing them doesn’t know whether you believe them or not, only that you stood silent. Museum and heritage organization directors and their staffs often do a lot with a little. Raising money in many communities is difficult. Why compound a challenging situation by failing to create an equitable, supportive environment for staff? So to board members out there, here’s our wish list: Know what your museum stands for, not just externally, but internally. It’s a lot easier to eliminate racist comments at work if the organization says it doesn’t tolerate hate speech; Make sure you have an HR policy; Comply with state and federal employment law (Hint: that means knowing the law first). Last, if you witness sexual harassment, racist comments or workplace bullying, imagine what you’d do if this were your child, your sibling, your best friend. Create ways to support and help your ED and her staff. In the end you’ll have a stronger museum. We began writing this blog in 2013. 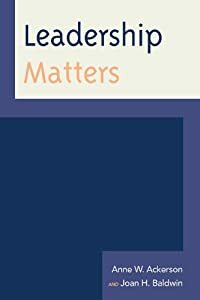 We’d just sent Leadership Matters off to the publisher and wanted a way to keep the discussion going. 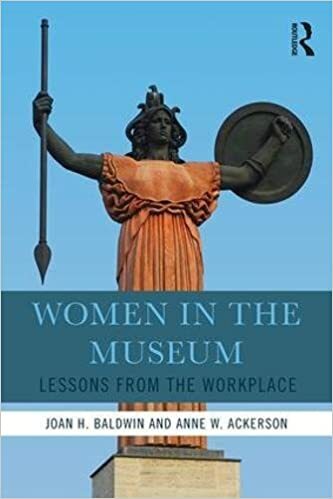 The book is a collection of 36 interviews with museum and heritage organization leaders, speaking frankly about the thrills and challenges of doing their jobs. Not all were directors since we believe leadership happens throughout an organization. Now, five years later, we’re revising the original. Five years doesn’t seem that long, but the first interviews took place early in 2012, and a number of our interviewees have retired, changed jobs or left the field. So, we’ve begun to write and interview again, and, if all goes well, the revision will be available in fall 2019. But most importantly we are thinking deeply about how (and why) museum leadership today is different. In some ways the museum world is the trailing indicator, slow to change and late to the party, perhaps not so much at the front of the house, but in staff rooms, offices and around the coffee machine. Six years ago we approached this project with real concern about the field’s understanding of leadership, and the need for boards to grapple with it. Today, leadership as a concept, seems more universally accepted for individuals and organizations who want to move the needle from mediocre to extraordinary. However, toward the book’s end, there’s a chapter called “There Be Dragons Here.” There we ask how 21st-century museums and heritage organizations navigate their communities while remaining truly and authentically themselves. To be honest, this is a place where there are still dragons. Too many organizations find themselves landlocked, unable to intersect with the communities they serve because of lackluster leadership. Over the next six months we will try to pinpoint change. So, in the tradition of our book and our blog, here’s a preliminary list of places where leadership intersects with the lives of individuals, directors, organizations and boards. The job market remains highly competitive and graduate school is still the admission ticket. This is still a field where too often one is asked to work for no money in the form of volunteering or internships before actually making too little money. This is a field that too often fails to train for leadership, but asks for independent, creative forward-thinking employees. This is still a field where race, class and gender are barriers: Race because too often young POC are hired for the wrong reasons and asked to represent a race/culture rather than being treated with equity; class because poor salaries continue to make it easier for wealthy individuals to enter the field; and gender, because for women, particularly women of color and most especially trans women, even the most casual Facebook survey points to a boatload of bias. The back of the house is as important as the front of the house. Museum workers who have a long tradition of not retaliating when mistreated have started to react individually and collectively. Museum workers and museum audiences expect (and want) organizations to be values driven. Sorting out what that means for a given museum or heritage organization is one of the tasks for today’s leader. Leading an organization means engagement not just presentation. Leaders need to understand how and where personal and organizational leadership intersect and mirror one another. A self-aware leader means a self-aware organization. 21st-century museum leaders need the courage to tackle the hard stuff. Organizations need an HR department or its equivalent and an understanding of employment law. Organizations need an active, current personnel policy that addresses all human and family needs. Organizations need to engage not just present; they need to be real community partners. They need courage to tackle the hard stuff. They need to understand the meaning of service. They need to understand the museum world, its ethics and values, its standards and expectations. They should want a values-driven organization keenly, if not more so, than their staff leaders. They should know the value of human capital and what it takes to advocate for, support, and celebrate a creative, engaged staff. They should understand their communities, whether local, regional, national or international. Tell us how you think leadership has changed or is changing.